Not all social media marketing is created equal. Some strategies and tactics are better than others. And, some strategies might be great – but are entirely the wrong fit for your business. So, if your social media marketing isn’t living up to expectations what can you do? There is no one answer for every small business. But, it never hurts to take a step back and examine what you’re doing now. What’s working and what isn’t? And, more importantly – why? Once you know, move forward guided by your fresh perspective. And, do it with intention by developing a strategy based on what you know about your business and your unique customers. 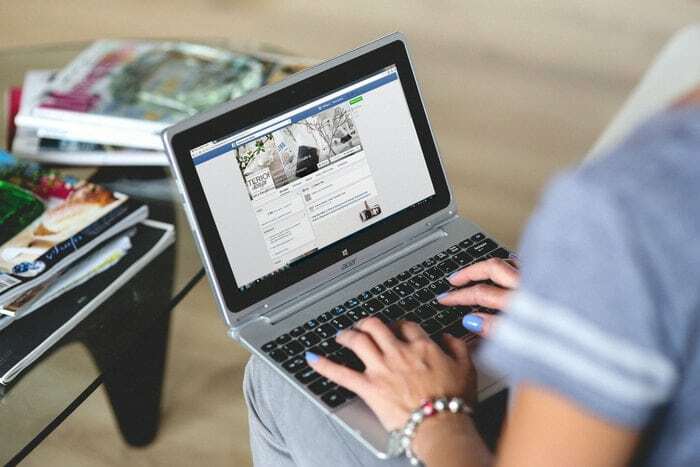 Consider these 7 proven ways that will help you rise above the social media noise and better engage your audience on social networks. Successful social media engagement relies on many factors. You need to set the right tone, communicate the right content on the right platform at the right time. Imagine if you showed up for your friend’s bridal shower at 3 am instead of 3 pm. You’re probably not going to have a successful social interaction. That artfully constructed cake made out of diapers you brought isn’t bringing anyone joy at 3 am. The same is true for your social media efforts. If you’re posting when no one is looking, it doesn’t matter how good your content is. No one will see it. So, figure out your business’s “Goldilocks” time to post (when the most eyes will see your content). They can serve as a great starting point, especially if they suggest plausible explanations for those best times to post. 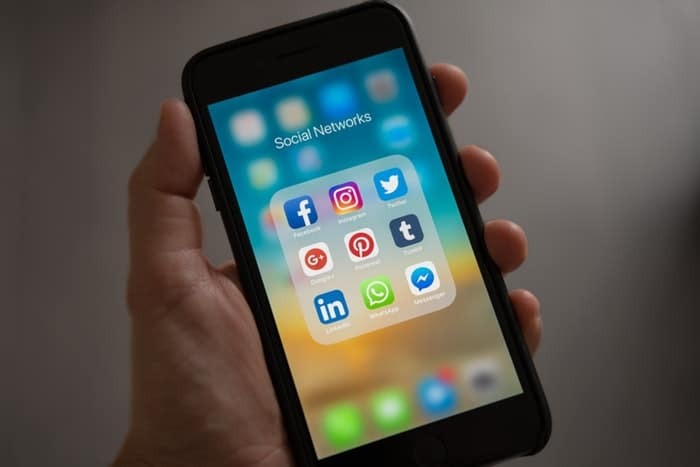 For example, if you are working on an entirely new social media profile and do not have any data of your own to work with, some studies can come in handy. But they are not a copy-and-paste blueprint for success. Lua recommends doing as much original research with your social media audience as possible. 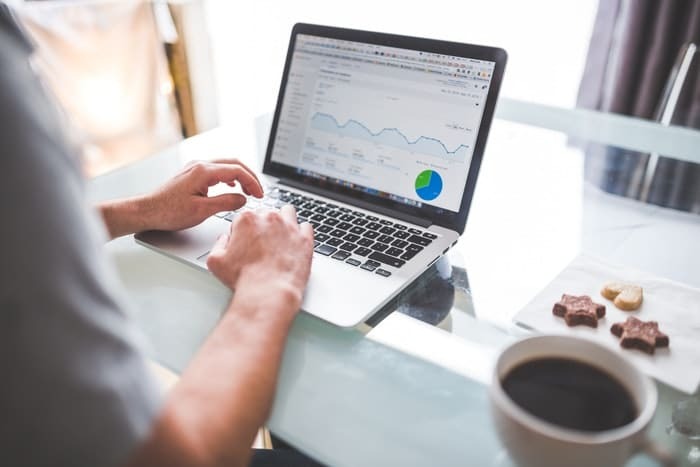 He suggests creating a consistent posting schedule and gathering 3-4 weeks worth of engagement data to see which time slots perform the strongest. 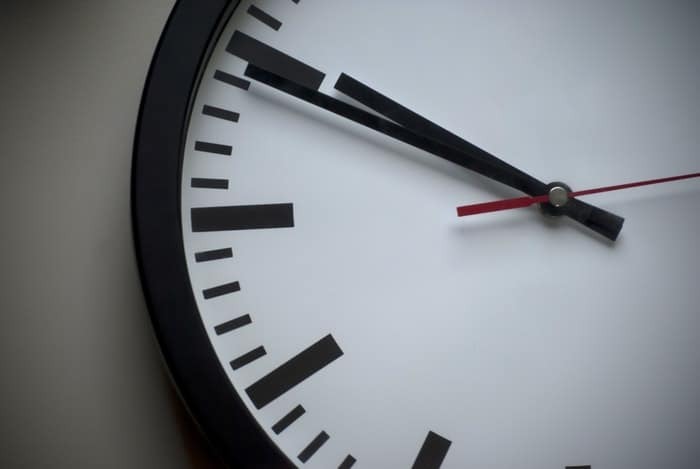 If your social media content is playing to an empty house, test to see what times you should be posting. You may be failing because you’re posting at times when nobody is looking. Not all social media platforms are created equal. And, the best social media platform for your neighbor’s business might not be the best platform for yours. This might mean giving Facebook a pass. Or skipping Twitter. Who knows?! Well… truthfully, you should. And, if you don’t know, it’s time to find out. Start by considering your goals. What do you hope to accomplish with your social media presence and how will you measure success? Are you looking to build a loyal brand following? Or are you hoping to drive online sales? Or, maybe you’re trying to reach a brand new audience? Your business goals will help to determine what platforms will be the best fit for you. 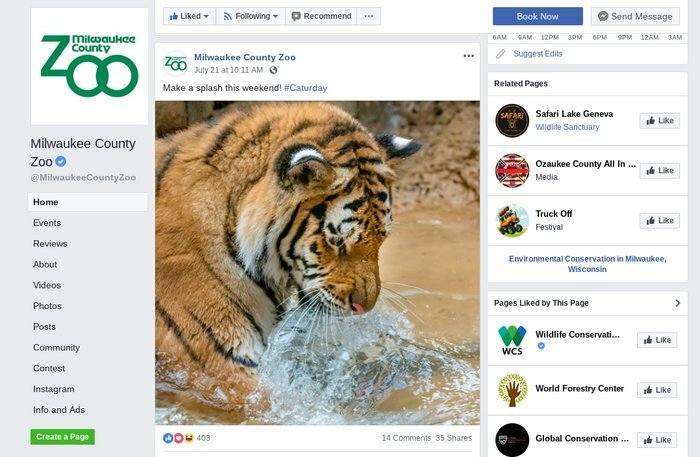 Facebook- allows you to post longer text-based content as well as infographics, gifs, photos, and video. Twitter – short text posts (280 characters or less) and images, gifs and video. Instagram – a mobile platform for sharing photos and videos, and Instagram Stories. Linkedin – a networking website for professionals, can post written articles, infographics and video. Pinterest – a photo-based SM network used to research and organize images that often link to link to longer content. Which social media platforms will deliver the best return on your investment? Consider the kind of stories you will want to share and, what content you will use to tell those stories. Then, find out where your audience spends their social media time. After all, marketing to the social media generation is quite different than what companies did in the past. For instance, an interior design firm may find more success on photo-centric platforms like Instagram and Pinterest than on Facebook. New home-owners, or those looking to remodel their current home, frequently troll Pinterest and follow designers on Instagram for design ideas. And remember to leverage influencers and micro-influencers to extend your reach on social networks. Finding the right platform relies on knowing where your potential customers spend their time and what you want to share with them. It’s not enough to have a social media account. It’s not even enough to have a social media account that posts regularly (although that is very important). You need to be present and available to interact. This means that you need to respond to social media comments. When complaints inevitably appear in your post comments instead of in your customer support channels, answer them. If you want social media engagement (particularly positive social media engagement) you have to engage back. 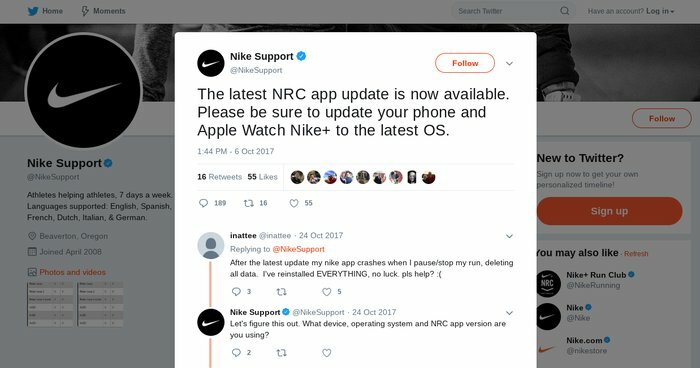 Nike has their very own customer support profile on Twitter (@NikeSupport) that they use to solve customer issues separately from their regular @Nike Twitter handle. Don’t just talk the talk, walk the walk. If your customers reach out via social media, engage them there. If you want people to engage with your content, your content must invite engagement. Questions invite engagement. Games invite engagement. Unique and novel topics invite engagement. Strong points of view and pictures of adorable bunnies and babies wearing sunglasses invite engagement. Video marketing invites engagement. When crafting your content, make sure that you’re offering your audience a true invitation to engage. Sure, you could say “Check out our great new article about plastic widgets!”, but you’ll get a stronger response if you post, “What do you think of these crazy new plastic widgets we’ve made?” Include a picture of the aforementioned crazy plastic widgets and link that pic to your new article and you’re off to the races. John Rampton, entrepreneur and marketer, advocates for high-engagement techniques like game posts, giveaways or contests. 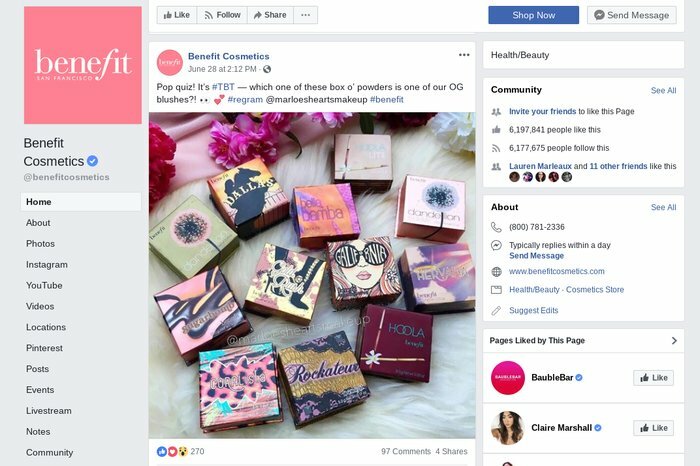 What’s great about these tactics is that it boosts engagement on the social media platform of your choice because people usually like receiving a prize of recognition. The promise of that recognition can be a strong motivator. Everyone likes to feel heard. Benefit Cosmetics does a great job of asking questions and “quizzing” their audience as you can see above. And remember to keep your branding consistent and sharp across your social media efforts. That means ensuring that your company’s logo is crisp, readable and visible on the content you share, using complementary colors that reflect your brand, and speaking in a consistent voice across channels. Regularly post content that directly invites engagement. End your posts with a question, hold a contest, or share an amazing eye-catching visual. People (including your social media followers) tend to like things that look pretty. Smartphone addicts are encouraged to turn the color off on their phones. Simply making their phone look less appealing makes it less fun to engage with. ...91% of consumers now prefer interactive and visual content over traditional, text-based or static media. If you want strong engagement, post visually-appealing content that catches the eye. The internet is a primarily visual platform. If you want your content to compete with all of the other posts and content vying for your audience’s attention, it’s got to look polished, professional, and aesthetically pleasing. And you’re going to need a lot of it. For tools to help you create your visual content, click here for our previous article: 12 Awesome Visual Marketing Tools That Will Help Grow Your Small Business. Regularly post eye-candy for your audience and they’ll be more inclined to pay attention, enjoy your content and engage. When you’re conducting business, you should behave professionally. But, what isn’t obvious is why some businesses equate professional with boring. Social media should be social. Formal, stilted, corporate communication will not endear you to anyone. And, it certainly won’t motivate viewers to engage with your business. So, develop a voice (consistent with your brand) that is worth engaging with! Your followers and audience want to see that there’s actually a person or people behind the logo. And, they want to spend their social media time interacting with people and brands with whom they can connect and have fun. So, be that brand with whom they can connect and have fun. Reveal authentic, interesting details about your employees. Write in a conversational tone. Be witty. You know… use your social skills. Develop an authentic, social voice that is consistent with your brand. 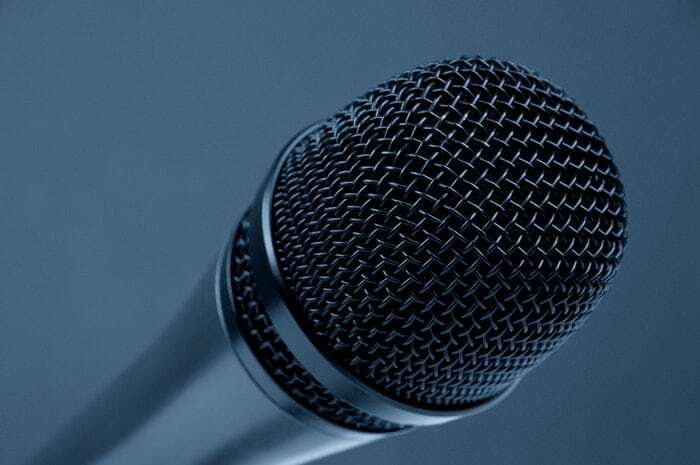 Keep that voice the same throughout all of your posts and your audience will begin to know and trust you. We can make all of the blanket suggestions that we want. But, the truth is that every business is unique. And, the technique that works like gangbusters for one business may be a total flop for another. So, the most valuable tactic that we can offer you is to monitor the results of your social media marketing efforts. Track your social media engagement and sift through the data to find what works best for your business. When is your best time to post? What type of content gets the strongest response? And, what platforms deliver the best ROI? You can only answer these questions if you track your social media activity and results. Rampton recommends a number of free social media monitoring tools worth checking out here. Track and monitor your social media engagement data. Then use that data to target the times, platforms, and types of content that perform best for you. Test to see what times you should be posting. Then post at those times. Find your best SM platforms by getting to know your audience’s social media preferences and determining what and how you want to share. Be present and engage with your audience on social media when and where they want to engage with you. Post content that directly invites engagement like questions, contests or quizzes. Prioritize posting content that is visually appealing. Develop a fun, authentic, relatable brand voice for your social media posts. Track and monitor your social media data to target your business’s best social media platforms, content strategies, and posting schedule. If your social media marketing efforts aren’t taking off the way you’d hoped they would, it’s time to take a different approach. Need help developing an awesome social media presence? Let crowdspring’s community of over 210,000 creatives help you develop content worth engaging with – without breaking the bank. You can get started on a social media assets project, infographic project or any other design project here, or request a free design consultation with one of our design experts.